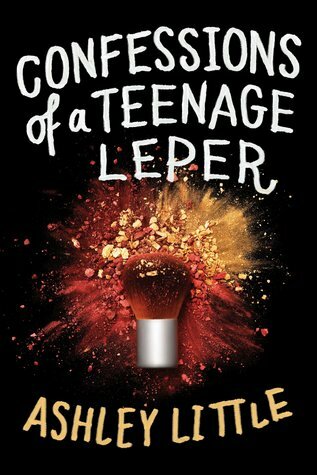 Despite the heavy storyline, Confessions of a Teenage Leper was witty, quirky and a really fun read! Abby, a literal Regina George, is given a pretty harsh reality check. A girl who uses her looks to charm her way through life is diagnosed with Hansons Disease, aka Leprosy. She loses her friends and everything she has built in her shallow world. I really loved the way Ashley Little crafted Abby's character. You really do kind of dislike her in the beginning, and her attitude can definitely make you cringe. But, all of that was necessary to get the full grasp of her transformation throughout the book. It is a great story of self-growth. Abby struggles to grasp her diagnosis and goes through all the natural stages of coming to terms with it. Aside from Abby, we are given a pretty great character cast. Each character adds charm and depth to the entire story. Confessions of a Teenager Leper was not what I expected at all. It is filled with so much personality. At times heart-wrenching it was just as much heart-warming. A wonderful reading experience!